Became Today: "I always tried to be fabulous." 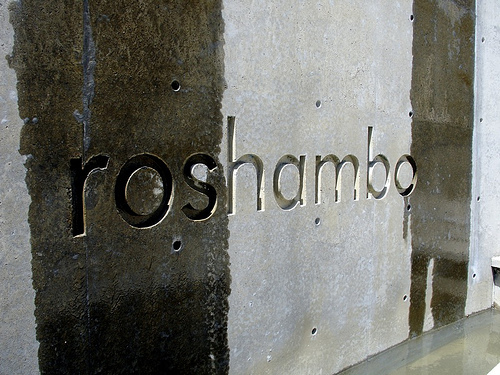 According to a bittersweet article in today's New York Times, Roshambo has been hit hard by the recession and is shuttering its winery for good. Naomi Brilliant, the plucky 37-year-old California native who launched Roshambo at the vineyard she inherited in 1997, is currently in the process of uprooting some 50 acres of vines. She has plans to grow organic vegetables there instead. Although the Times leads their story by declaring that "the party’s over for Naomi Brilliant," I think that's really just for dramatic effect. It's clear that Brilliant brings a party with her everywhere-- and winemaking's loss will be the organic farming industry's gain. Wearing a miniskirt and a feather boa at wine industry events, [Naomi Brilliant] made up for all of the business’s stodginess. She made Roshambo the highlight of Sonoma County wine events by cranking up the live music and encouraging her friends to forgo the sober sipping and spitting and simply drink her wine.